This is a very tasty way to eat fresh green beans! You may want to adjust the “heat” from the red pepper flakes, using a little more and a little less depending on your taste. 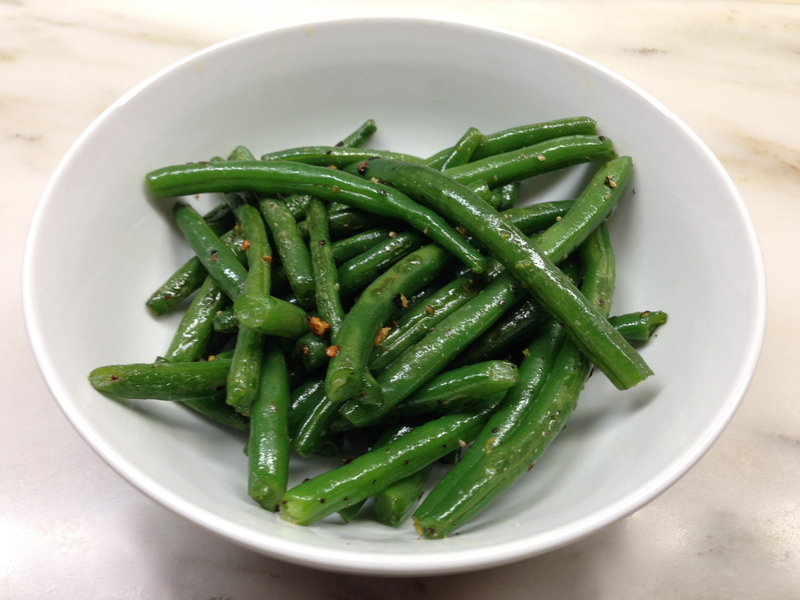 I got my inspiration from Patrick and Gina Neely’s “Green Beans with Lemon and Garlic,” Food Network. I modified their recipe, using less fat and red pepper flakes! In a large pot, blanch the green beans in boiling water for about three minutes, until beans are bright green and slightly crispy. Remove from heat and drain hot water and rinse with cold water to stop the cooking process. Drain again. Over medium heat in a large nonstick frying pan, heat oil and butter. Add garlic and red pepper flakes and saute for about 30 seconds. Add the beans and continue to saute for about 2 minutes. Be careful not to cook too long, as the garlic will brown very quickly. Remove from heat and add lemon zest. Salt and pepper to taste. Serves 4.